If you are looking for a change of park, there is a possibility that we can look at moving your caravan. You may of been on your current park for a long time, you need somewhere closer to home, want to be closer to your friends or relatives, or you just fancy a change? Partington's Holiday Parks are here to help! Our Parks at Windy Harbour Holiday Park, Newton Hall Holiday Park and Broadwater Holiday Park are all close to Blackpool on the Fylde Coast may have a suitable pitch for you. 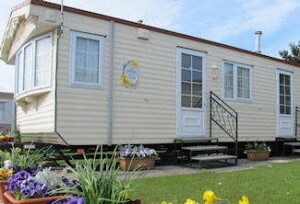 Come down and have a visit, take in the atmosphere of the Park, talk to us and talk to some existing Caravan Owners too. We would love to meet you and answer any of your questions on how to move your caravan. STOP PRESS! LATEST INFO: Due to unprecedented demand for pitches we are currently not able to move caravans from other parks. This situation does vary season to season and Park to Park so if you fancy a change and like one of our fabulous parks then its definitely always worth checking first. We recommend that you check our stock (click here) as it may be more beneficial for you to sell your caravan and buy a new one. Call our friendly team on 01253 879911 to chat through the options.